The RStat command provides access to model information stored in the scoring routines. 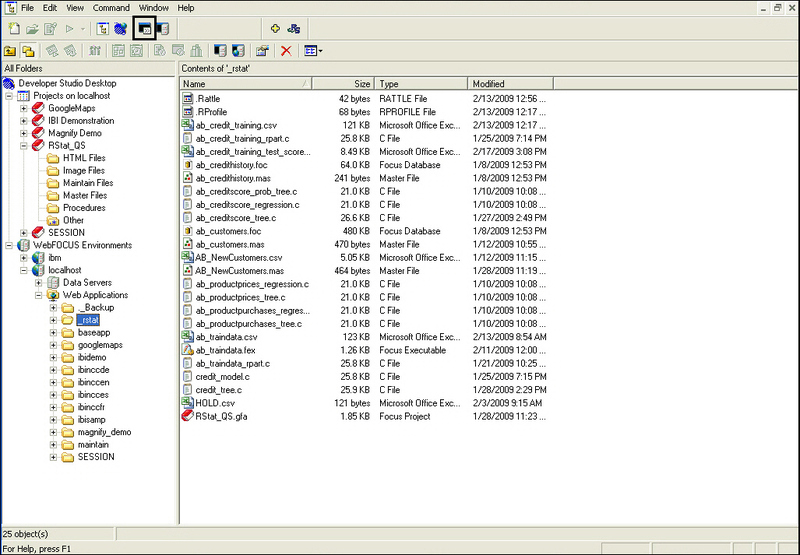 Each routine contains information on the model created, the model parameters, the model metadata, and the PMML. This is designed to make it easier for the developer of the scoring application and future users of the scoring routine to know what the model does and how to access it successfully. MODELNAME. The name of the scoring routine. WHICHINFO. Which model information to display. Model Name, Model Type, Creation Date, and Time. Model parameters in the order in which they are defined and the required data type. The final parameter is always the target variable. PMML representation of the model. You can access the RStat command through the Command Console or within a report. In the Command Console, RStat has been implemented as a query command. Is the name of the scoring routine. Is the type of information to be displayed. Click the Command Console icon in the Developer Studio toolbar or click Command Console in the Utilities group of the Home tab in the App Studio. Type an RStat command in the Command Console. Click Execute if you are working in Developer Studio, or click Run if you are working in App Studio. 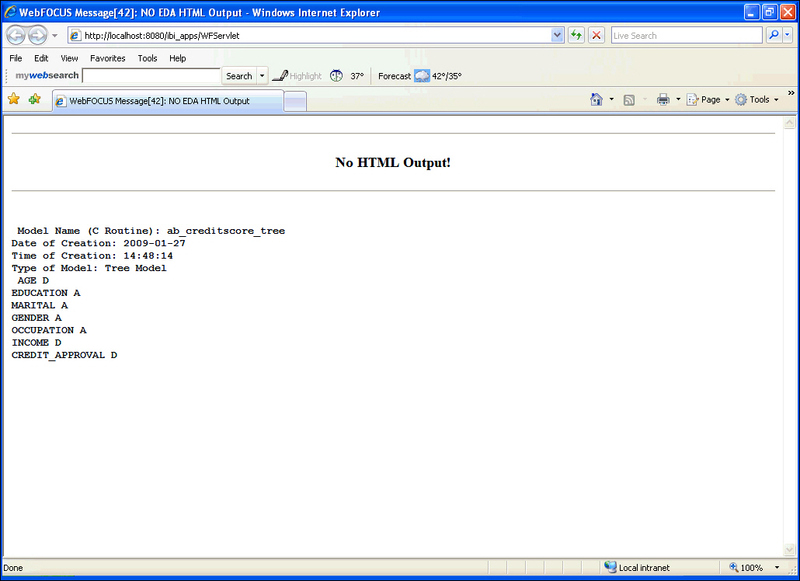 You will see the information from your model presented in an HTML output window, as shown in the following image.